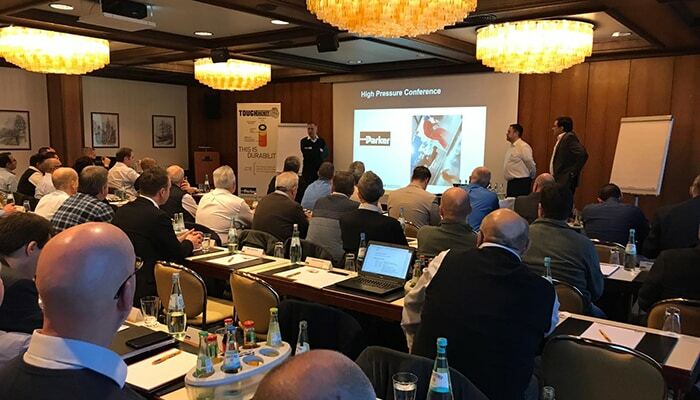 The European Water Jetting Institute (EWJI) participates in 8th PARKER Polyflex High-Pressure Conference held on December 11th to present you the latest products and innovations on the Ultra High-Pressure side, as well as for Oil & Gas applications. The event included presentations of the latest developments a round table and the participation of several speakers introducing current and interesting topics, as the conference given by the secretary general of EWJI, José Blanco. He highlights in his speech how the association not only is involved in improving the legislation concerning to water jetting and the standards on water jetting techniques, but also promotes the generation of professional contacts between associations, contractors and suppliers to improve the sector.